Ordered their two signature ramen; Marutama Ramen and Ake Ramen. Both the broth are good but I prefer the Marutama one better. The pork slices in Marutama melts in your mouth while the chicken meatball in Ake feels a little dry in texture. 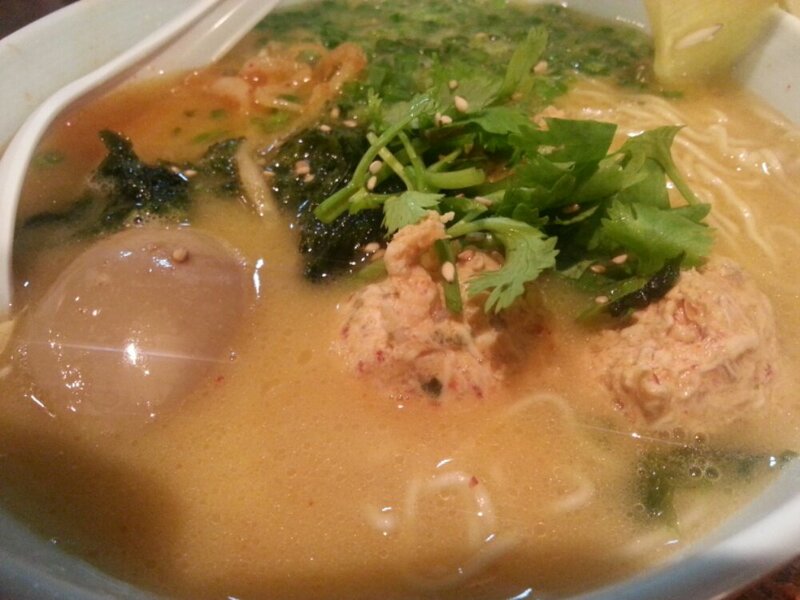 We add tomago (half boiled seasoned egg) to our ramen for additional $1.50 each, and I have to say it’s all worth it. The egg is boiled just enough to harden the egg white while achieving the runny texture in the yolk. I would probably just eat the egg and not the ‘yew-mee’ like noodle if I’m forced to decide between the two. That said, I would say the noodle did not really taste like maggi mee as many had criticised. It does look like one though! We also ordered Yaki Char Siew and Kakuni Pork bellies as side dish and I would strong recommend the former while the pork bellies can be given a miss. The Char Siew looked dry and hard on first impression but I am amazed on how tender the meat is, probably due to the right lean-fat ratio. The well grilled pork slices just melt in our mouth!